Finnish newspapers this Tuesday are awash with hundreds of articles marking the death of Finnish ski jumping legend Matti Nykänen. Rarely does a single domestic event cause such an outpouring of reports and commentary as has the passing of ski jumping legend, later entertainer and staple of tabloid headlines, Matti Nykänen. Many papers on Tuesday carried dozens of items about Nykänen, reviewing his accomplishments and his personal tragedies. Iltalehti, among them, wrote that a sense of sorrow at the news of Nykänen's death stopped the Finns in their tracks. The paper described him as being in many ways an exceptional Finn, both as an athlete and as a private individual. The five-time Olympic medal winner became, in this paper's words, "the whole nation's Matti". "Nykänen's death is naturally a huge shock and a loss to his family and friends, but the loss of this athlete, who rose to the status of national hero, brought the whole of Finland together on Monday and had masses of people remembering him, the greatest ski jumper of all time." A Finance Ministry report published on Monday stated that Finland's next government will need to find an extra two billion euros by 2023 in order to ensure fiscal sustainability. The alternatives are the standard ones - spending cuts or tax rises. In a bylined column in the economic and business daily Kauppalehti, the paper's news chief Mikko Metsämäki suggests that the next government could find a big chunk of that money by taxing winners of the national lottery. This week, the first prize in the lottery is a record 15.5 million euros, money paid out tax-free to the winner, or winners. Veikkaus, which runs the lottery, does pay a nominal 10 percent tax on the pots it gives out, but if wins were taxed at, say 30 percent, that would bring an extra half a billion euros into state coffers annually. Metsämäki has made the same suggestion in the past. At that time the Finance Ministry commented that technically, taxing lottery wins would be easy, but it would require a political decision and a change in the ideology of state-sponsored gambling. On the political aspects, he says somewhat tongue in cheek, that the Conservative's position is that work must always be profitable, but winning the lottery should be even more profitable; the Social Democrats want more money for elder care, as long as it doesn't come from lottery winners; the Centre sees the lottery as the last hope in many rural communities, so it can't be touched. On a more serious note, Metsämäki says that the consensus among all the political parties is that it is more important to impose a punitive "solidarity tax" on anyone earning more than 70,000 a year than it is to bolt the door to the country's own domestic tax haven. A new record low temperature for this winter was recording at Utsjoki in the far north of Finnish Lapland overnight when the thermometer briefly dropped to -39.1C. Ilta-Sanomat reports that the Finnish Metrological Institute said that the temperature soon then rose slightly as some low cloud cover moved into the area. The all-time low temperature in Finland was seen in January 1999 when a bone-chilling -51.5C was recorded in Lapland at Kittilä. Snow and cold are responsible for rail traffic disruptions and a string of cancellations by the state railways VR. Turun Sanomat reports that VR is blaming what it describes as "challenging weather conditions". Low temperatures and deep accumulation of snow has put a strain on both rolling stock and track infrastructure. Although VR has targeted keeping 95 percent of long-distance trains in operation, engines and cars are in need of thawing and maintenance. According to a media release from the Finnish Transport Infrastructure Agency, Helsinki had a greater accumulation of snow last month than as ever been measured for a January. Cold and snow have jammed rail switches that have to then be cleared by hand. A listing of cancellations planned for this week in English can be found here. On the subject of cancellations, this could be the time of the year to cancel your gym membership and grab a snow shovel instead. Tampere's Aamulehti takes up the question of whether or not shovelling snow is good for you. To answer that, the paper spoke with exercise physiologist and sports planner Katriina Ojala of the UKK Institute Centre for Health Promotion Research. Ojala pointed out that to be effective, exercise should be regular. 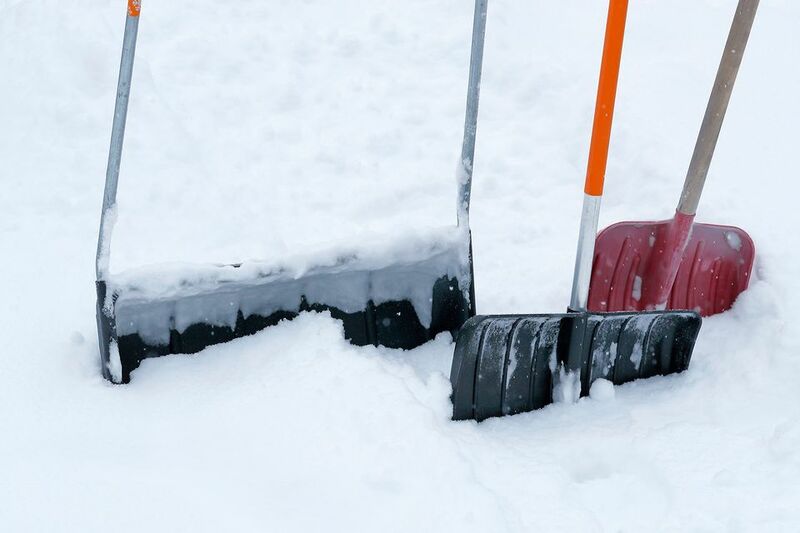 Since snow shovelling is a seasonal activity and not usually done every day, it doesn't stack up against many other routines. That's not to say it isn't good for you though. "When you work at it efficiently, you get a workout for leg and arm muscles and your pulse rises. The heavier the snow, the more muscle work it takes. People who are not in good physical shape get the most health benefits." There are risks. The cold poses a risk to people with heart problems or asthma. Posture is important to prevent back injuries. Ojala's advice is to approach it much like any sport. "Lots of people shovel snow too fast. Just as before any exercise activity, remember to do some warm up before you start."